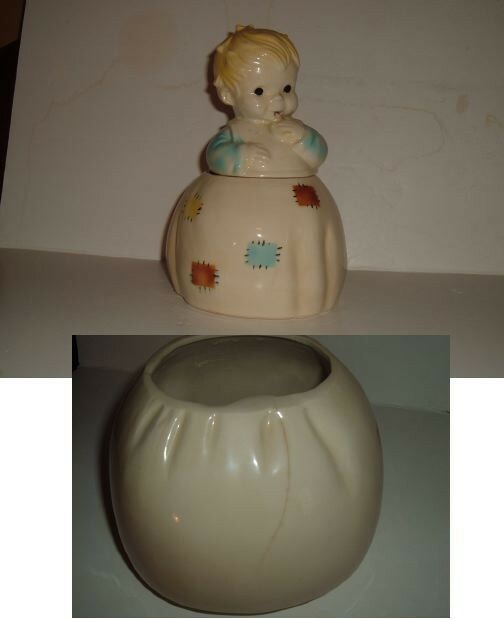 Little Girl Cookie Jar by Brush. circa 1957. Marked 017 USA Brush. The jar is from a private collection. The jar is in good condition with a hairline crack in the glaze on the base bottom side.